Disney Fairies Tinker Bell Little Pixie Musical Statue. 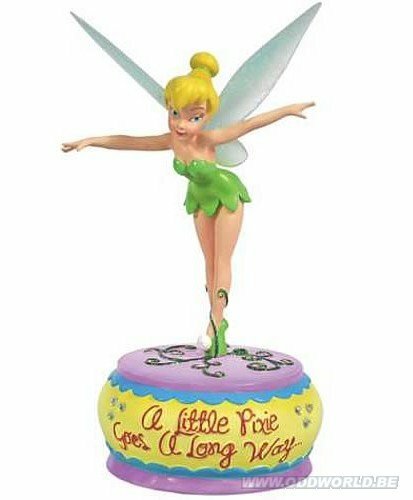 Add a touch of fairy magic to your home, with this Disney Fairies Tinker Bell Little Pixie Musical Statue. 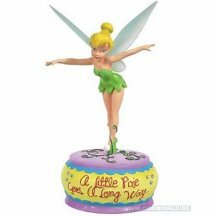 Features Tink spreading her wings atop a decorated base with the phrase "A Little Pixie Goes a Long Way". Stands 6 3/4-inches tall. Plays "Canon in D".